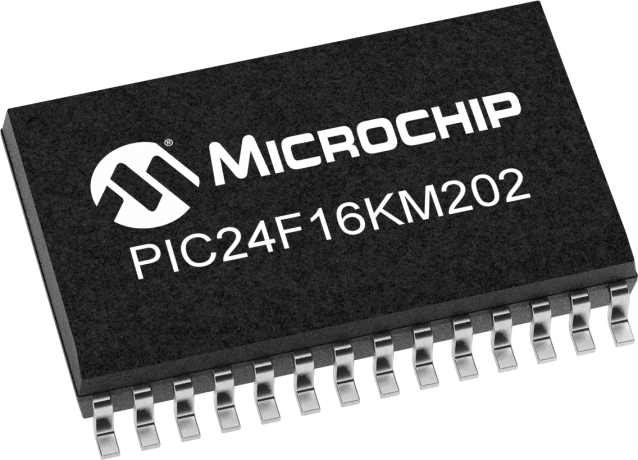 16-bit Microcontroller featuring eXtreme Low Power consumption, integrated analog functions such as 12-bit ADC, 8-bit DAC and Op Amps in low pin count packages. The devices also offer flexible Capture/Compare/PWM modules, Configurable Logic Cell and options for both 3V and 5V applications. PIC24FV products support 2.0V-5.5V operation while the PIC24F products support 1.8V-3.6V operation.